Pest UK / Pests / Are All Insects Pests? A commonly asked question by some of our customers. Not all insects are pests, some are beneficial. 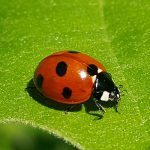 These helpful insects include- bees and other pollinators of flowers and crops, ladybirds and beetles eat aphids and other insects that feed on and damage plants. 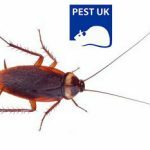 Of those that are considered pests PESTUK can provide treatment with residual insecticides or gel baits as well as professional advice to stop further occurrences where possible. 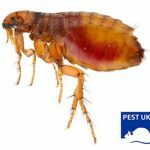 Fleas, they will feed on cats or dogs and can feed on people when no other food source is available. Cockroaches, thrive and nest close to sources of heat in kitchens, boiler rooms etc. Ants, while not a risk they can be a cause of nuisance in homes and businesses alike. Woodlice are not a health risk but can suggest a damp problem as they require humid environments to live in. Cluster flies nest in large groups late in the year and will choose a hibernation site which is passed on by genetic memory to offspring. Flour mites feed on stored cereal products and can contaminate them. Bedbugs infest homes and bite humans during the night causing stress and discomfort. Call us on 0330 100 2811 to book an appointment regarding are all insects pests? Or any other pest problem you may have.